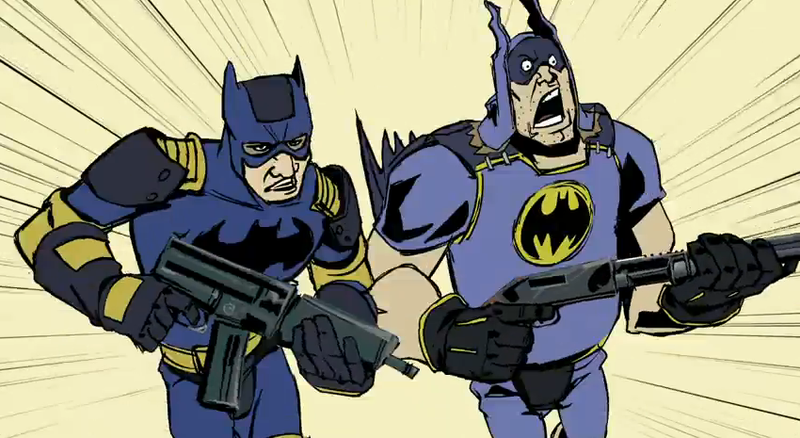 Warner Bros. Interactive has released a great third new animated trailer for their new Batman video game, Gotham City Impostors. The first two animated trailers for this game were freakin' awesome! This new trailer focuses on gadgets and weapons, and is just as entertaining. Watch the animated trailer below and tell us what you think! To watch the first couple of animated clips again, Click Here and Here. Enjoy!